Indonesia's jailing of a woman for complaining about the volume of a mosque loudspeaker has sparked a wave of criticism, with a petition calling for her release gaining more than 100,000 supporters. Rights groups and the Muslim-majority country's biggest religious organisation slammed the 18-month blasphemy sentence handed out Tuesday to the defendant, an ethnic Chinese Buddhist, in Medan on Sumatra island. 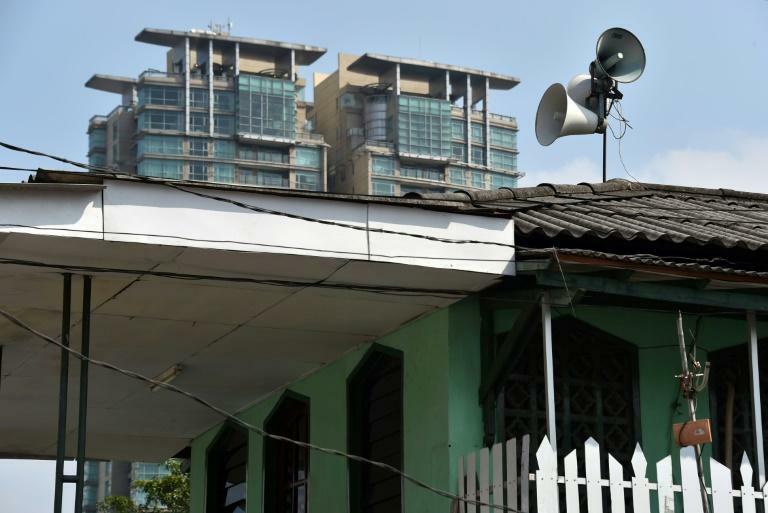 The 44-year-old woman named Meiliana was found guilty of insulting Islam for asking her neighbourhood mosque in 2016 to lower its sound system because it was too loud and "hurt" her ears. There are hundreds of thousand of mosques across the Southeast Asian archipelago nation, with the five-times-a-day call to prayer heard everywhere in the biggest cities and smallest towns. An online petition to Indonesian president Joko Widodo calling for the woman's release had more than 115,000 supporters as of Friday evening. "Eighteen months in prison for asking people to lower the call to prayer volume? Come on!" wrote one petition supporter. The verdict is likely to aggravate concerns that Indonesia's moderate brand of Islam is coming under threat from increasingly influential radicals. Amnesty International has denounced Tuesday's ruling as "ludicrous", while Nahdlatul Ulama, Indonesia's biggest Muslim organisation, said the noise complaint "did not constitute blasphemy". "I don't see it as hate speech or showing animosity toward a certain group or religion," Robikin Emhas, head of the group's legal and human rights division, said in a statement on its website. Critics of Indonesia's blasphemy laws say they are frequently misused to target ethnic and religious minorities. "Meiliana is a victim of injustice," Bonar Tigor Naipospos, vice chairman of think tank Setara Institute for Democracy and Peace, told AFP Friday. Indonesia, which has the world's biggest Muslim population, is officially pluralist with six major religions recognised, including Hinduism, Christianity and Buddhism. Freedom of expression is guaranteed by law. But criticising religion -- particularly Islam, which is followed by nearly 90 percent of Indonesia's 260 million citizens -- can land offenders in jail. Last year Jakarta's former governor -- the city's first Christian leader of Chinese descent -- was sentenced to two years in jail for blasphemy for comments he made about a verse in the Koran.